Fantastic Results at Industrial Trophy, Lonato! P1 & P2 in OK-J for Dexter Patterson and Jonny Edgar and an Amazing P1 Maiden Victory in OK for Chris Lulham!! Congratulations to the Forza Racing Team! 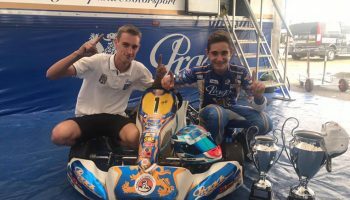 Congratulations to Dexter Patterson & Chris Lulham from Forza Racing on a fantastic 1, 2 at the OK-J World Championships at PFI! Jonny Edgar from Forza Racing wins the OK-J European Championship. 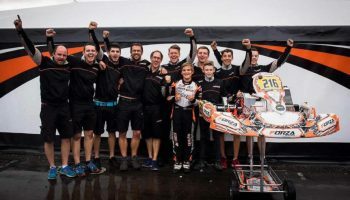 Angus Moulsdale from Fusion Motorsport clinches the Junior X30 Euro Series Championship. Max Verstappen European Champion 2013. 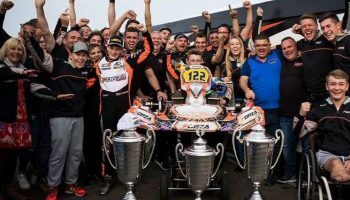 GFR Engines have been supplying, building and maintaining engines for some of the most successful kart racers for over 15 years. Gordon Finlayson and Kevin Park have over 55 years kart racing experience and their meticulous standards of preparation and unrivalled customer service enable them to deliver the most competitive and reliable kart engines available. GFR Engines services cover OK-J/OK-S Europe (TM), Iame X30, OK-J/OK-S Vortex (UK). Other engine classes on request. Another Successful Weekend for GFR Engines!! GFR Engines 1,2 at World Championships!! We welcome enquiries throughout the UK and Europe. Please call us on +44 (0)1698 886231, Email us at info@gfrengines.co.uk or fill out our Enquiry Form. Copyright © 2019 GFR Engines. All Rights Reserved.